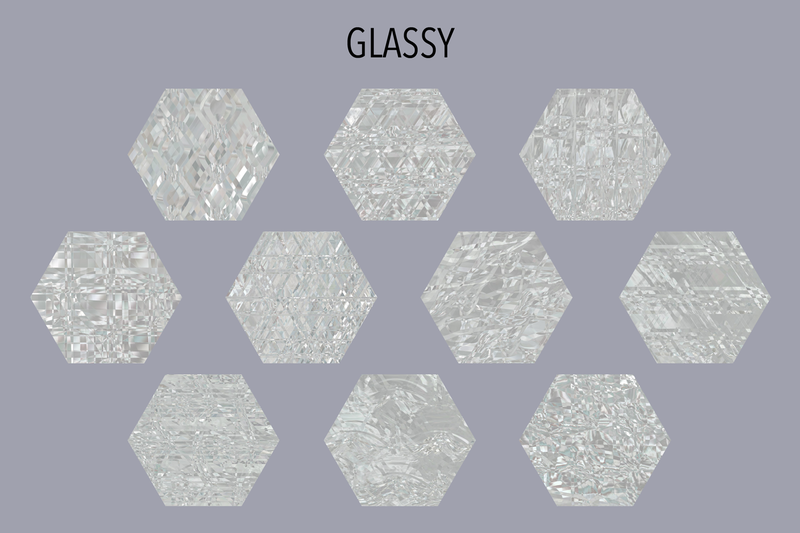 Textures designed with randomized patterns layered to add depth and a glassy look, with a little bit of reflection. 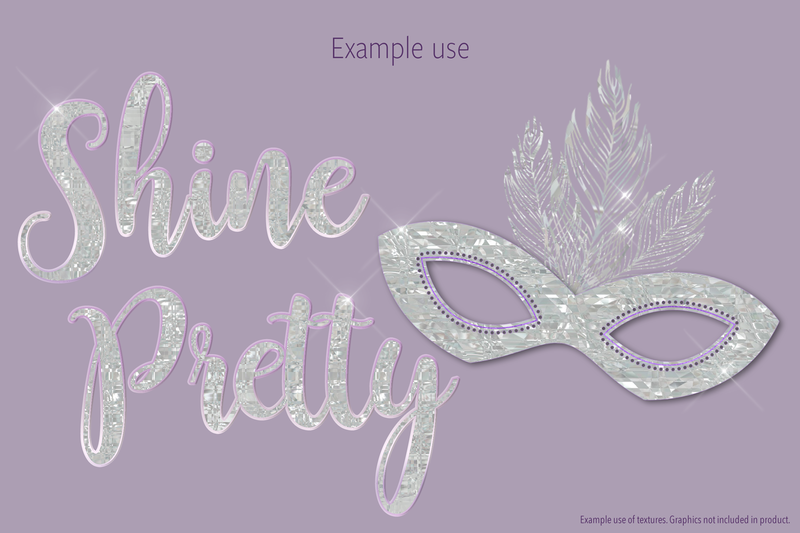 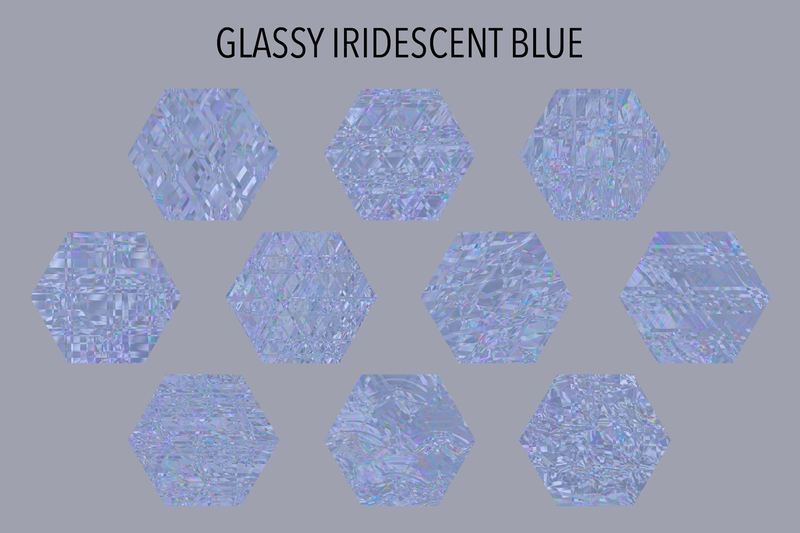 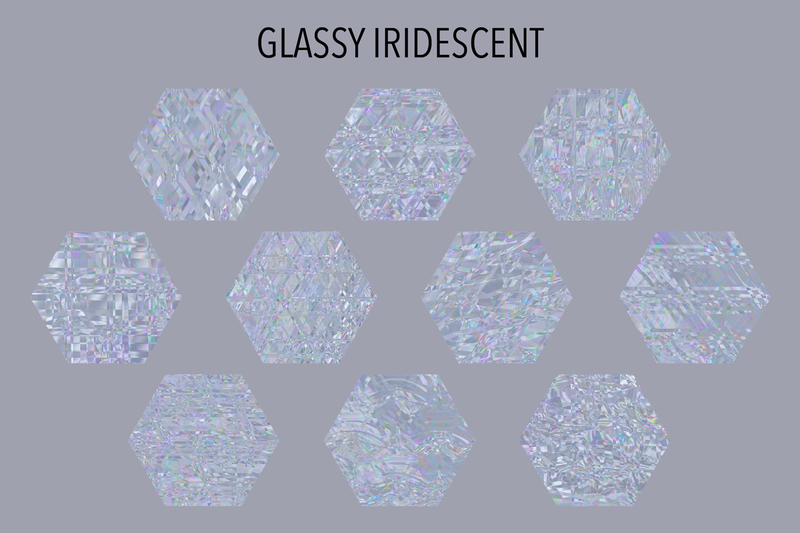 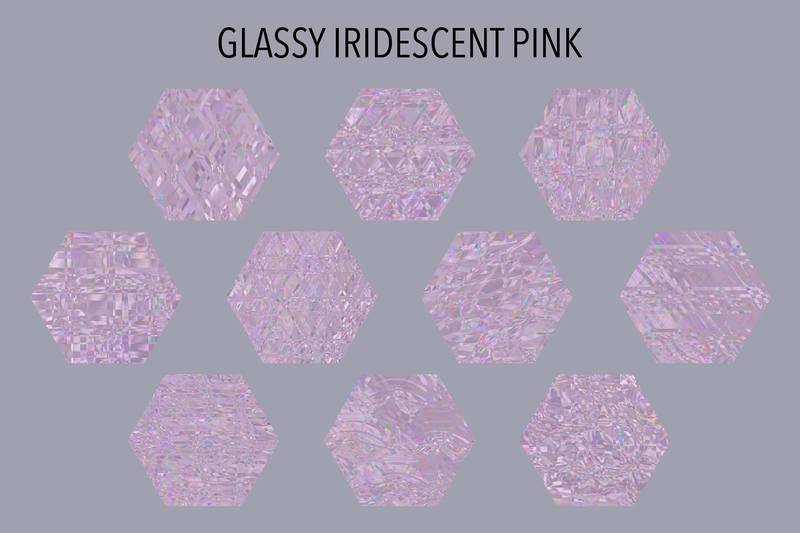 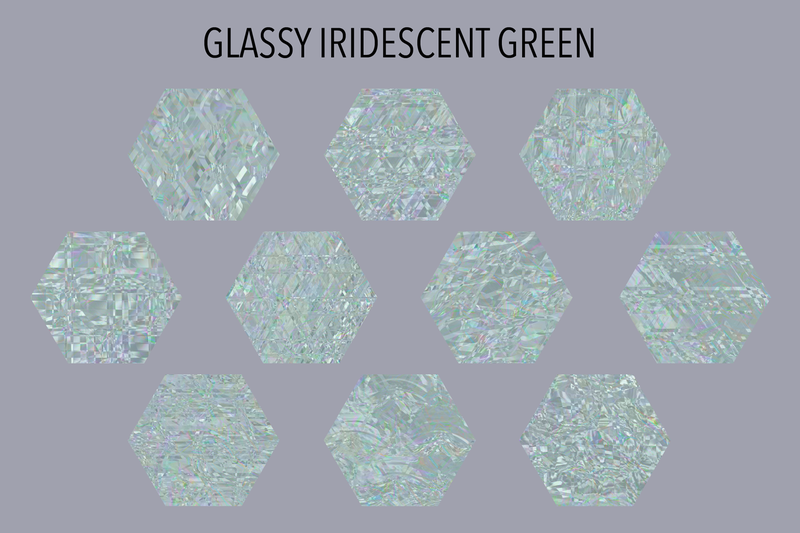 Great for creating designs that need some sparkly reflective shine, such as faux crystals and gemstones, embellishments, decorations, borders, frames, strips and more. 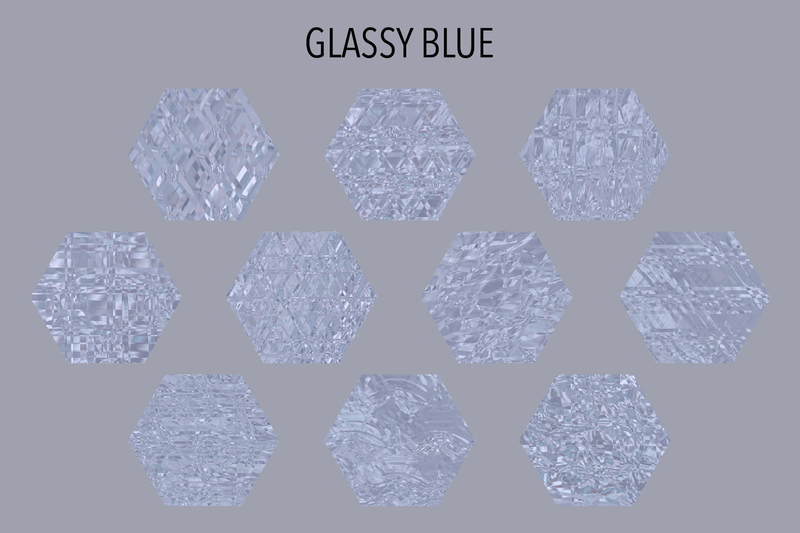 You can resize the textures for different looks, and overlay them with varying opacity on top of backgrounds and other textures to create different glassy/shiny effects. 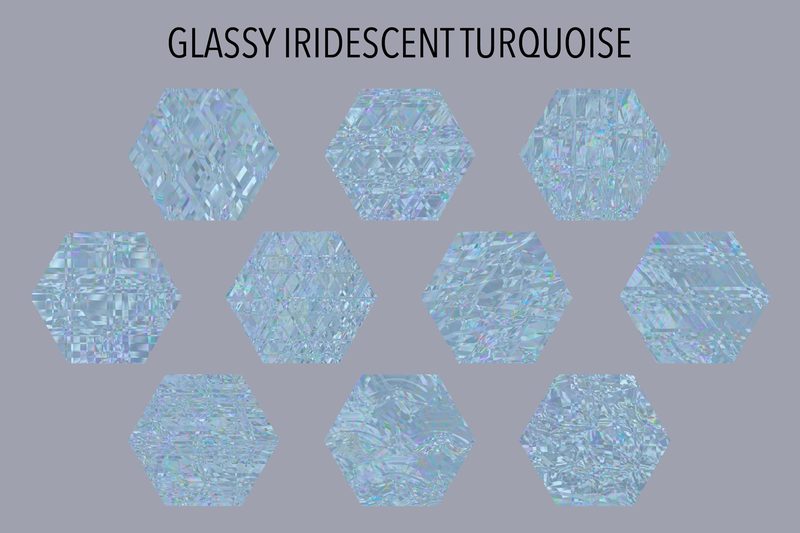 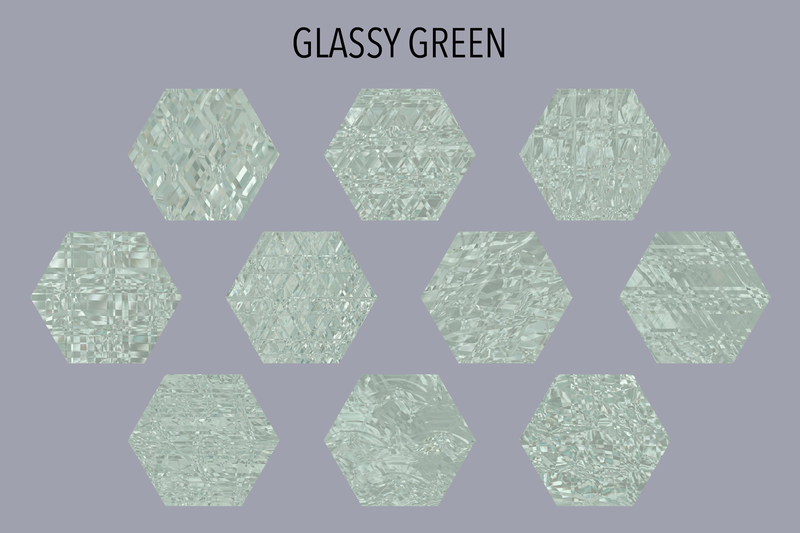 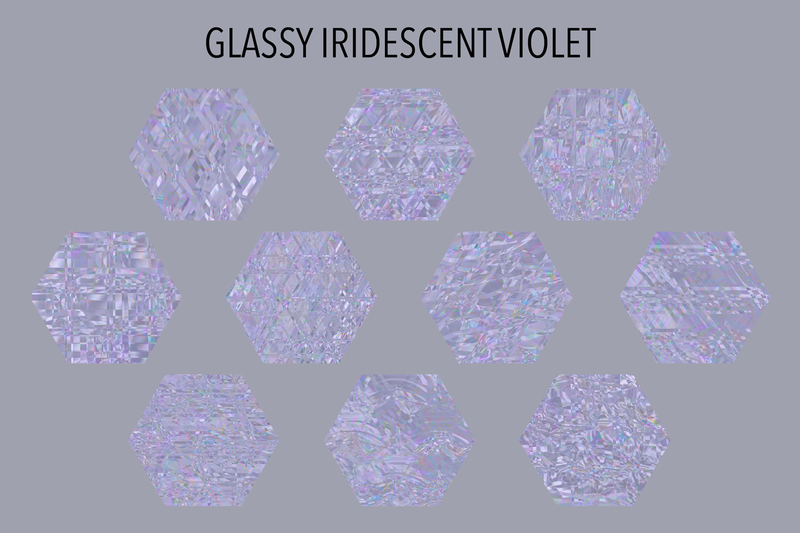 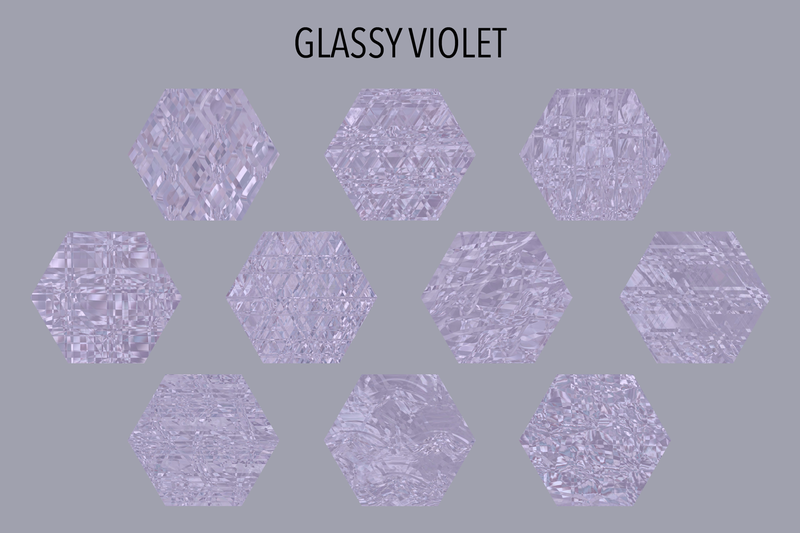 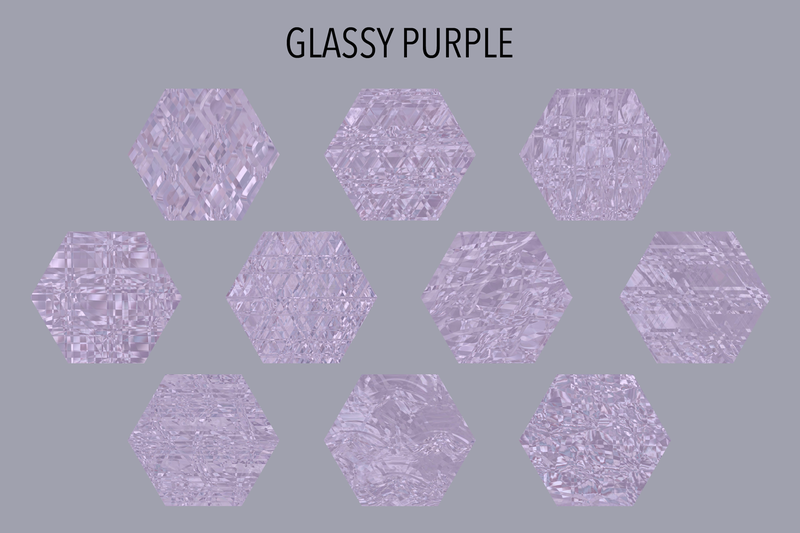 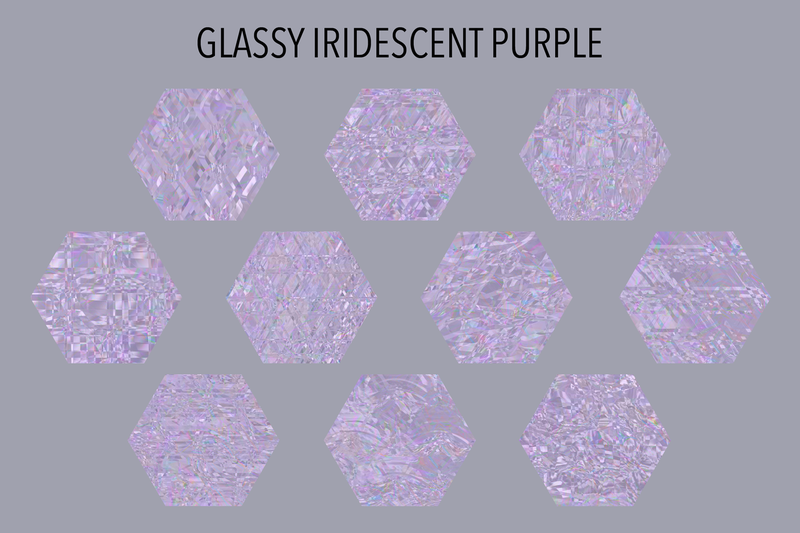 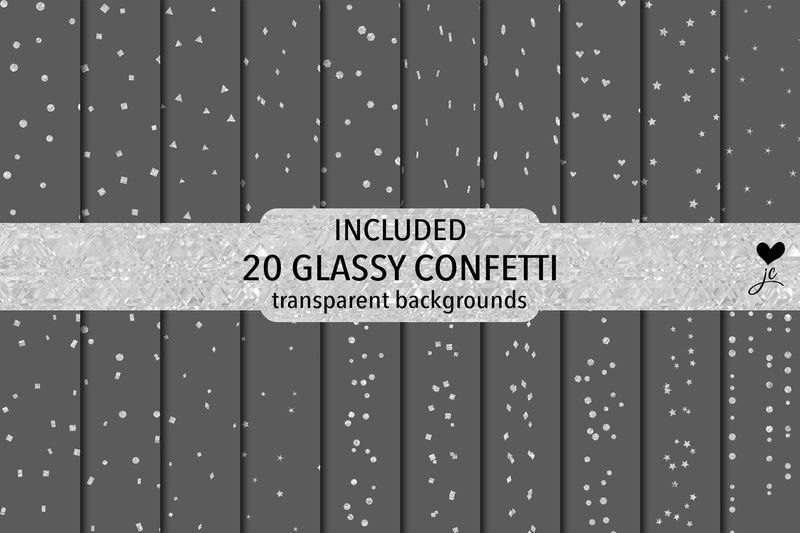 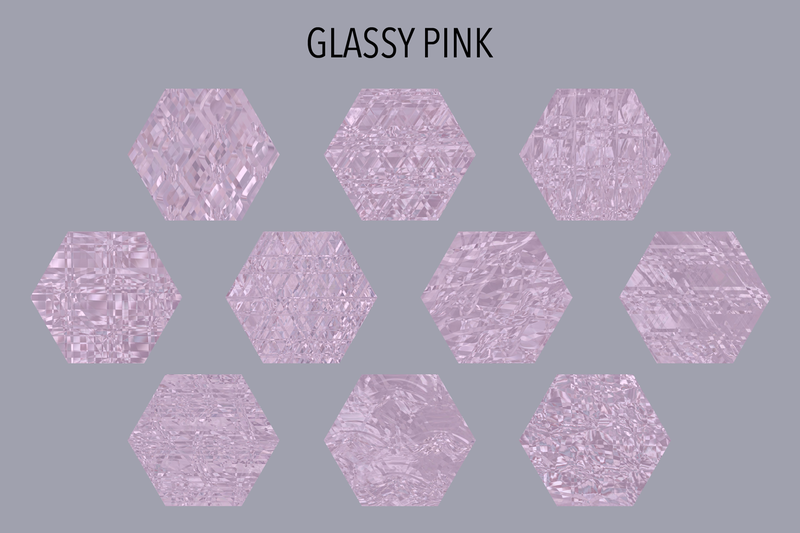 Also included in the product is a pack of 20 glassy confetti textures with different shapes. 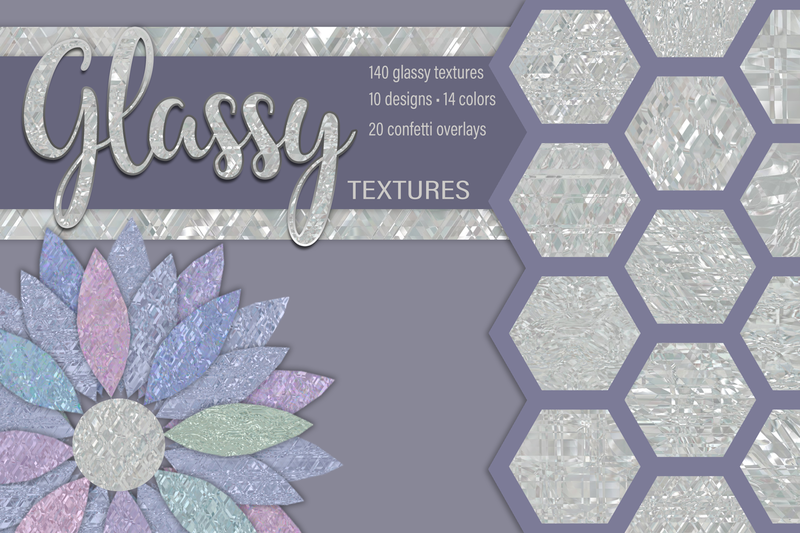 Pack contains 140 glassy textures (10 designs with 14 different colors), which are high quality digital papers (JPG images) and 20 glassy confetti textures with transparent backgrounds which are high quality PNG images. 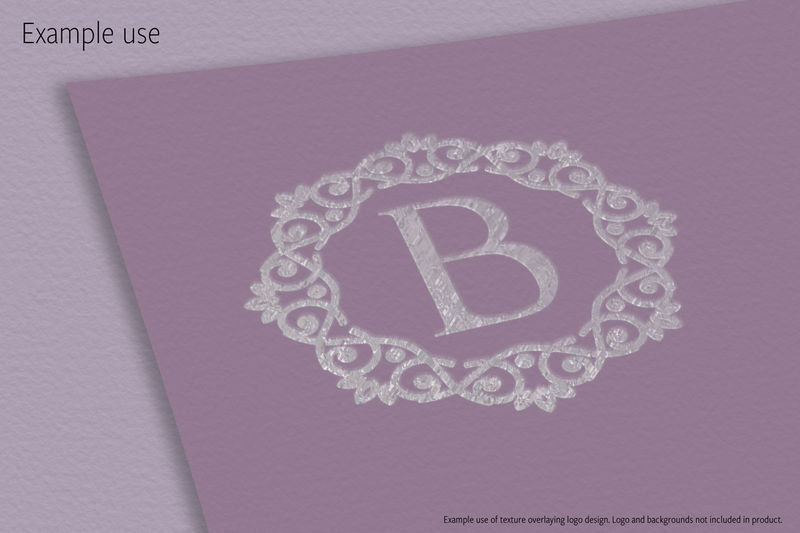 Great for print, web or digital design. 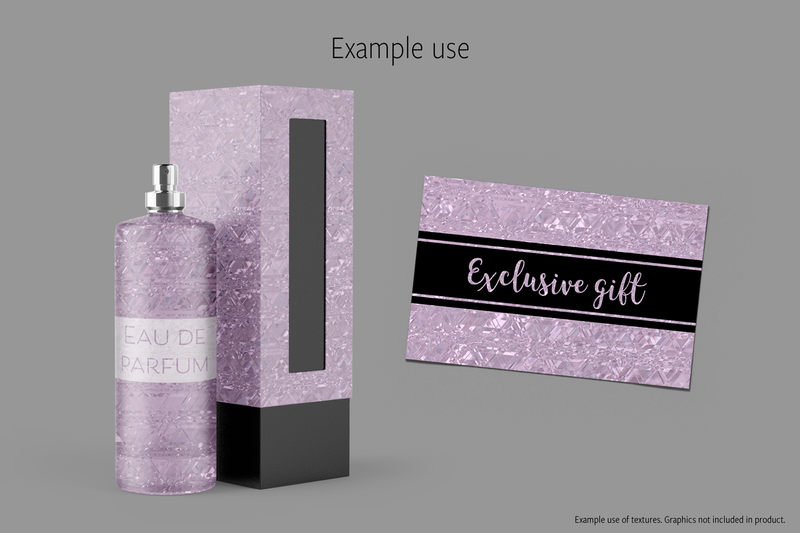 (NOTE: Graphics are included for display purposes in previews, and are not included in this product. 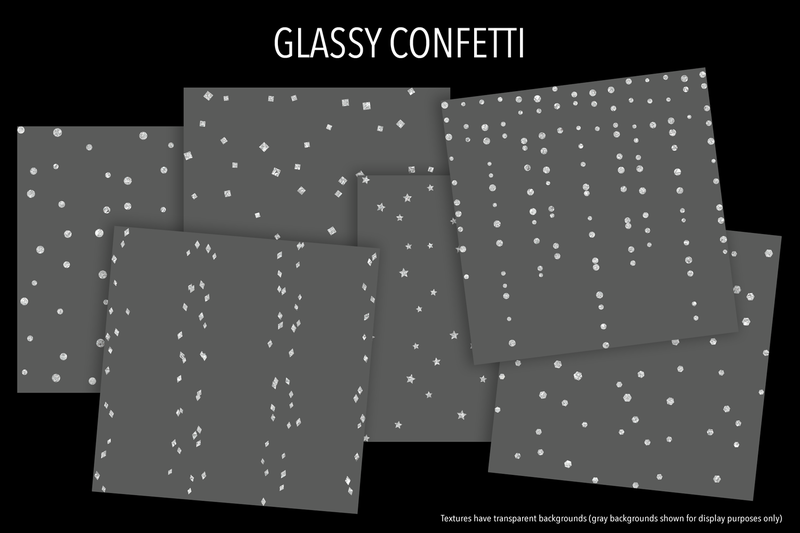 This product includes the texture and confetti files only). 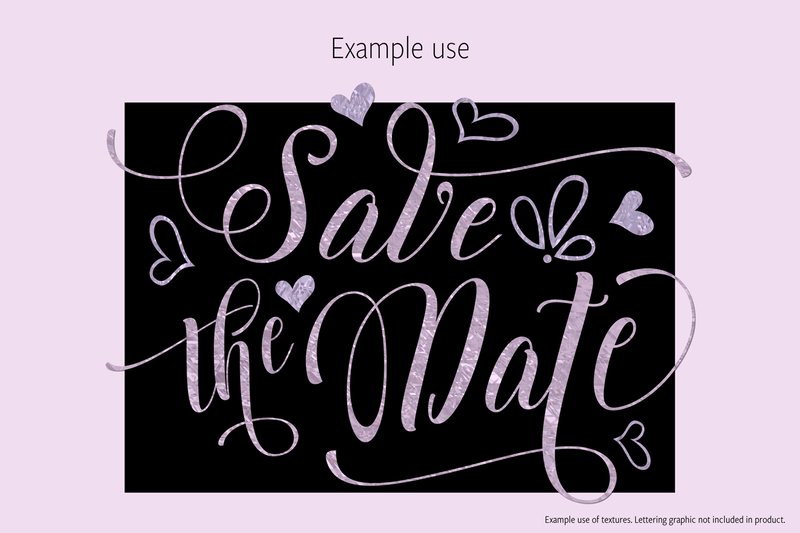 Total product size is approximately 1GB, so please allow time for download of files. 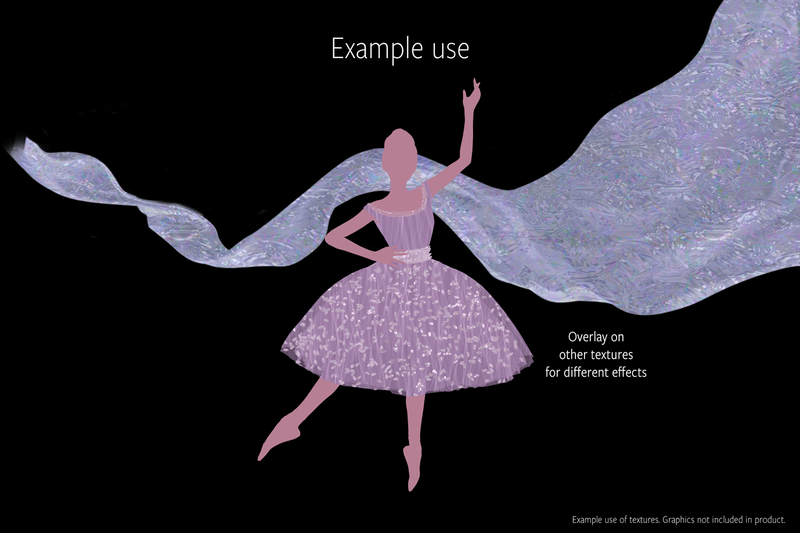 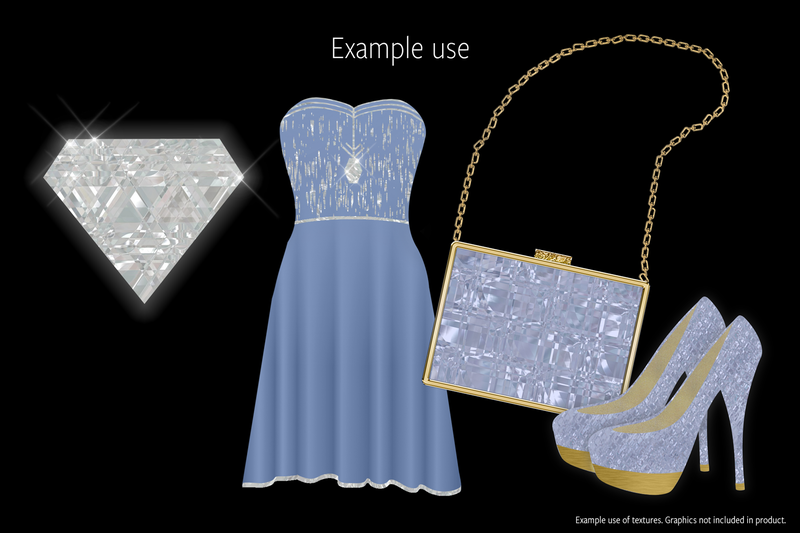 I hope you enjoy using my product to add some shiny crystal-like sparkle to your creations.